There are more than a dozen treatment options for patients with relapsing multiple sclerosis and so far none for the progressive form. Why that is and what can be done to change that are two of the biggest challenges in the field today. 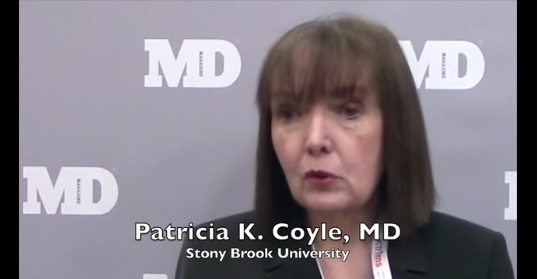 Patricia Coyle, MD, from Stony Brook University discussed what progress is being made in the field of progressive multiple sclerosis, the different forms doctors are treating, and other challenges they face during the annual ACTRIMS conference in New Orleans.